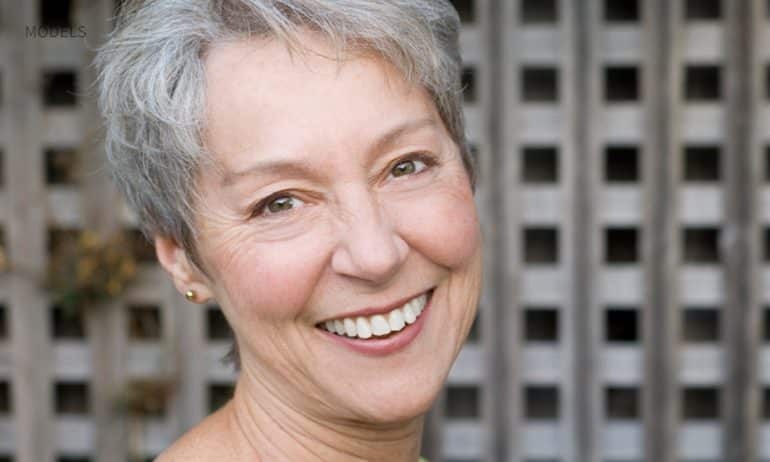 For patients in Gilbert with imperfect smiles, Digital Smile Design (DSD) is a highly advanced procedure that can assist in creating a brand-new appearance. With the latest technology in her arsenal, Dr. Hanna Mansoor uses DSD to help conceptualize how a patient’s mouth will look after corrective treatment. Diagnosis of any oral health conditions, such as overbite, underbite, crowded teeth, etc. Communication between Dr. Mansoor and the patient to learn more about their goals and what kind of smile they’d like to achieve. Treatment planning, which uses 3-D rendering and computer modeling to create a lifelike model of the patient’s future smile. Execution, which are the procedures involved in creating the planned smile. Case maintenance to ensure the patient’s new smile continues to last for years to come. With DSD, patients can know exactly what their smiles will look like before any dental work begins. Basically, it is a means of assurance that eliminates surprises and ensures the end results will turn out as they expect. What Is the Digital Smile Design Process? During patients’ initial consultations with Dr. Mansoor, she will examine and take photos of the teeth from various angles. This provides enough material for the digital mockups, as well as provides a good “before” benchmark. Patients will review their photos with Dr. Mansoor at her Gilbert office and bring up any particular points of embarrassment or unhappiness. After taking notes, she will begin using specific software that lets her digitally alter the smile, showing what potential improvements would look like manipulated on the photos. Patients can browse through different options to find the style of teeth that looks right on them. Orthodontics, such as braces, to move teeth into the correct alignment. Implantology to replace missing teeth. Cosmetic and restorative dentistry to fix broken, cracked, or otherwise imperfect teeth. Orthognathic surgery to correct a jaw that is misaligned or doesn’t sit straight. Periodontics to correct issues with the gums. What Are the Benefits of Digital Smile Design? A diagnosis that goes beyond mere physical examination. Rather, Dr. Mansoor will use extra-and-intra oral aesthetic and structural evaluation techniques to provide an advanced look at patient’s mouths. Improved communication between the patient and Dr. Mansoor. Rather than simply going along for the ride, patients will be able to offer their input on what features they’d like to see in their new smile. More predictable results, ensuring greater patient satisfaction. Because Dr. Mansoor will create a model of the results before implanting any procedures, patients will know exactly what to inspect. Highly customizable treatment plans based on each patients’ facial and dental proportions, rather than a set-in-stone treatment plan. Who Is a Good Candidate for Digital Smile Design? The best part about using DSD to plan aesthetic oral improvements is that nearly every patient is a candidate. As long as patients are in good enough oral health to undergo treatment, the DSD process is an incredibly useful tool that can eliminate uncertainty with corrective procedures. Teeth that are missing, chipped, or cracked. Teeth that are too small or too big. A gummy smile, which is when the gums cover too much of the teeth. A crooked or misaligned jaw, which can affect bite. Whether patients are suffering from one or all of these issues, they are excellent candidates for the DSD protocol. Patients in the Gilbert, AZ area don’t have to keep suffering from a smile that makes them unhappy. Rather, Dr. Mansoor is here to help with the state-of-the-art Digital Smile Design protocol. She works with each Gilbert patient one-on-one to provide an experience that is both comforting and convenient. Under her care, patients can expect a smooth process from start to finish. There’s no reason to wait any longer when a perfect is smile is within grasp. Call Smiles By Hanna today at (480) 279-3700 to schedule your initial consultation.